Discussion in 'Range Reports' started by BrShooter, Oct 24, 2016. Bullet: Hornady SST 150 gr. Next 5 is 44 gr. This is the max load in the Hornady manual but the Lyman manual shows 47 as max. Not sure if I should try any higher. This is a 308, correct? Looks like the 45g is it. Maybe tweak it a bit by tenths but looking good. What's your OAL? How far off the lands? Yes it is a 308. Sorry I did not post that but it is on there now. I may try a half of a grain either way but I like this now. I am not sure what the over all is. I will look when I get home. I also did not check what it is off the lands. I seated to the manual and checked that it was not too long. It is seated to the cannelure. 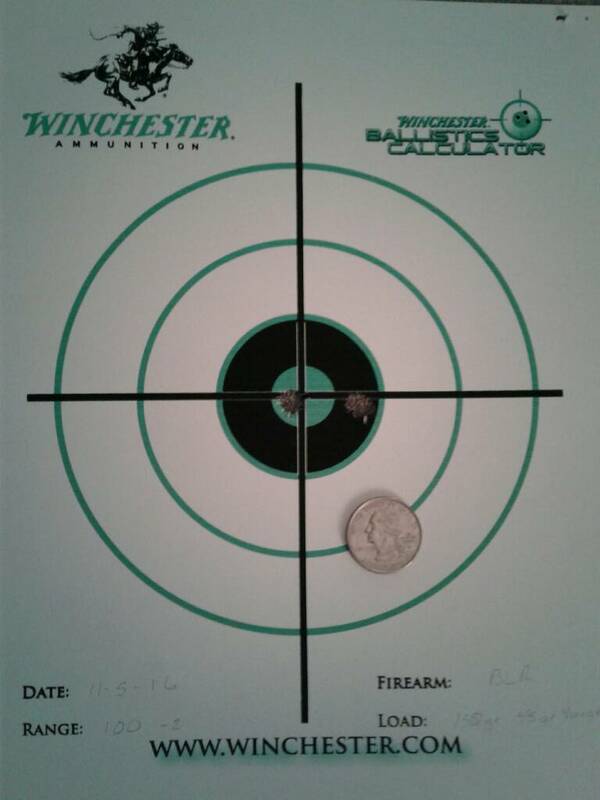 I took it out again this weekend with the same load of 45 gr of Varget and a 150 gr Hornady SST. It still looks good at 100 yards. This is 3 consecutive shots. 2 shots are in the same hole at 3 o'clock. 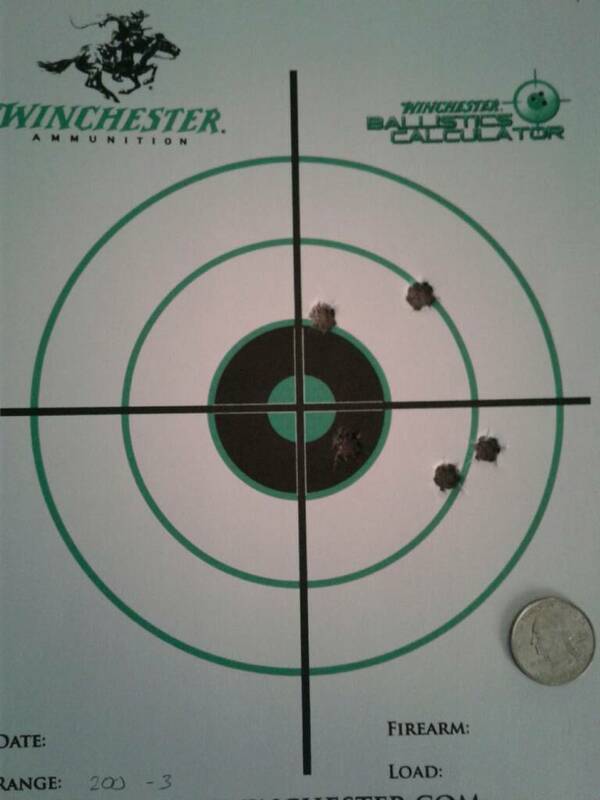 This is 5 shots at 200 yards with the same load.